NO, DEFINITELY NOT OBAMA WE'RE DEALING WITH HERE... DONALD, WE CANADIANS FEEL.. I THINK IT'S "JUSTIN" SIR. 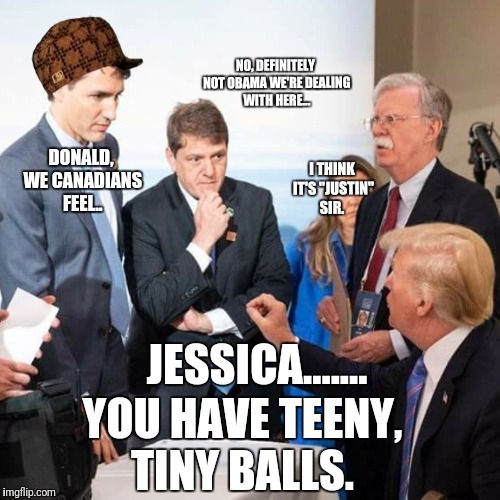 JESSICA....... YOU HAVE TEENY, TINY BALLS.